Tá na cúrsaí go léir ar siúl i gcoláiste Chroí Mhuir, an mheáncoil áitiúil i mbaile an Spidéil. All courses run by Coláiste Naomh Éanna are held in Coláiste Chroí Mhuire, the local secondary school in Spiddal village. Formal classes with emphasis on spoken Irish, grammar, culture and preparation for oral exam. Creating of portfolio of teaching resources e.g. dánta, rannta, amhráin, scéalta, tomhaiseanna, tréanna, rabhlóga agus seanfhocail. 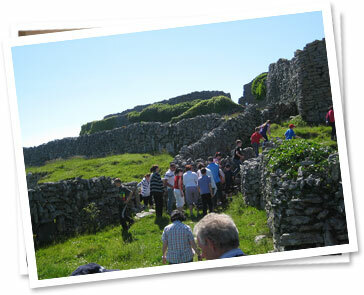 The houses are all of high quality and registered with the Department of Community, Rural and Gaeltacht Affairs. Friends can stay in the same house together. Please Note: SCG/OCG teachers may also attend the Student teacher course in January and May where provisions will be made to cover the SCG/OCG syllabus. All courses will concentrate on preparation for SCG/OCG exams. Students will study grammar, translation, comprehension and Curaclam na Gaeilge. Students will also study the prose and poetry on the SCG syllabus and both SCG and OCG teachers will get every opportunity and support to prepare for their oral exam in the Irish language. Classes will run every day from 10.00 am to 1.30 pm. Additional classes will be held in the evening for those who need further help for the oral test and the grammar. The College employs highly qualified teachers. Emphasis will be placed on speaking and linguistic accuracy. The intensive preparation for oral and written examination. Sample essay booklets will be available for each person at each end of the course. Sample answers to past SCG/OCG papers. Interview preparation evening. Facilitator is a current assessor on diocesan panel for interviews for primary teaching jobs. Ongoing support and advice for all parts of SCG/OCG exams up to time of exam. This includes correction of lesson plans and projects for the Irish practical exam in school which is part of exams. Foreign teachers given one to one tuition for exam. This also applies to teachers who took the ordinary level Irish paper in their leaving cert. or teachers whose Irish may be weak . All support and services included in fee. No extra or hidden charges. The houses are all of high quality and registered with the Department of Community, Rural and Gaeltacht Affairs. Friends can stay together in the same house. Please contact us for more information about our online classes for SCG/OCG teachers. We provide courses for those wishing to get into the Post Graduate course in Primary Teaching either in the Colleges of Education or Hibernia College. 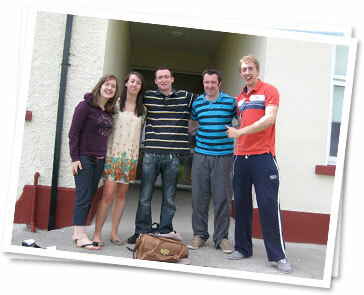 These courses prepare the students for the Irish interview and also English and general interview. Please Note: Courses for PME Secondary School may be set up on demand. 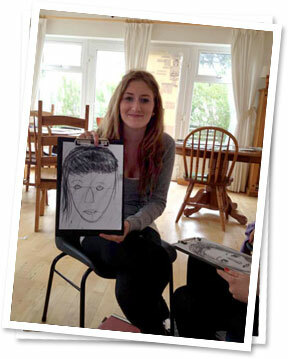 We provide courses for adults who wish to learn Irish or refresh their existing skills. We cater for people who wish to learn Irish for themselves or for people who need Irish for their work, e.g. health professionals, the Gardaí, the army, civil servants, bank officials, etc. Courses are run Monday - Friday on a weekly basis during the months of July and August. We provide night and online courses for mature students or repeating students who are taking their Leaving Cert Irish exam with a view to getting into teaching. Excellent notes and one-to-one help with oral given. Price includes all clases and handouts, recording of oral, full board accommodation with bean an tí, link to a dropbox with sample answers to Filíocht agus prós, aistí and sample answers to past papers Léamhthuiscint. Students who are studying Irish for a degree can contact us for more information on our night and online courses. Excellent notes and one-to-one help with oral given. Students studying for B.A. degree in Irish, P.M.E. Post Primary Teaching or ant degree or qualification in Irish will benefit from the course. Private classes also available during the school year.